Humans have many talents but one that stayed all throughout the ages is the art of insult. 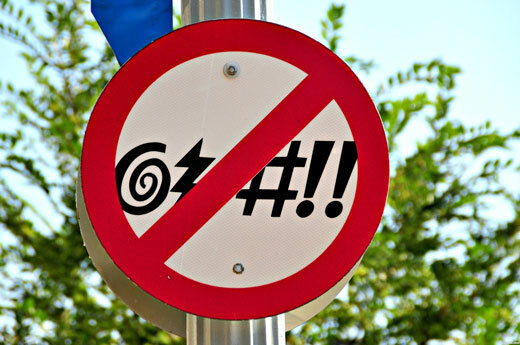 It can’t be denied that swearing has been existent in the human civilization and developed by inventions of the human tongue. It has become complicated, upfront and funny that some retorts can only be relatable to a specific group. In a post from mothership.sg, when plain English words can’t express frustrations, Singlish expressions can be of use so as not to resort to vulgarity. Back to this millennial age, insults now a days are quite crude, limited and don’t give off a poetic vibe with a brush of subtleness as they once did in the good old days. A fopdoodle simply means someone of little importance or a simpleton. So if someone is making opinions to let you down, remember they are just a fopdoodle. Move on. This is a Northern English term used in the 18th century that’s meant to describe someone who complains all the time. It just goes to show that before and now, nobody wants a gnashnab. Gobermouch is an Irish term that describes someone who is fond of meddling with other people’s business or whereabouts. Some people just want to be low-key and that’s not something a gobermouch understands. This means someone who never fails to interrupt a discussion or conversation aimed at contradicting the person talking. We all know a snoutband who believes they know everything and they probably don’t know the meaning of this word until now though. Stampcrab is used to describe someone’s clumsiness and heaviness of foot. This is one of Shakespear’s word inventions in Henry IV. Fustilarian means someone who is a time-waster or wastes valuable time on insignificant things. So, if you’re running a deadline, make sure you don’t act like a fustilarian! A Gillie-wet-foot is meant to describe a swindler or a person who is indebted and flees away. Be careful not to lend money to a gillie-wet-foot! Klazomaniac is for someone who can only speak through shouting. I don’t think anyone wants to have a klazomaniac around. This is a term coined in 17th century for an idle, lazy, slack person. Clearly, someone who spends all day in bed is a loiter-sack!